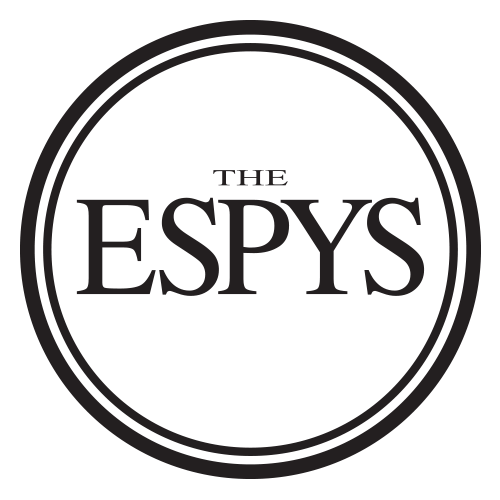 LOS ANGELES -- Caitlyn Jenner accepted the Arthur Ashe Courage Award at the ESPYS on Wednesday night and urged acceptance for others who are transgender. Jenner received a standing ovation from some of the sporting world's biggest stars after her 10-minute speech during the annual awards show honoring the year's top athletes and moments. "This transition has been harder on me than anything I can imagine," said Jenner, who revealed in an April televised interview with Diane Sawyer on ABC that she was in the process of transitioning to a woman. From the stage Wednesday, Jenner thanked Sawyer, whom she called a friend. Noting her powerful celebrity platform, Jenner, the 1976 Olympic decathlon champion and current reality TV star, vowed "to do whatever I can to reshape the landscape of how transgender people are viewed and treated." Abby Wambach of the U.S. soccer team presented the award to Jenner, whose voice broke as she thanked members of her famous family, including stepdaughters Kim and Khloe Kardashian. Tears welled in the eyes of Jenner's younger daughter, Kylie, whose sister, Kendall, wiped a tear from her eye. "I never wanted to hurt anyone else, most of all my family and my kids," Jenner said, wiping her eye. Jenner, 65, admitted that until earlier this year, she had never met another transgender person. She told the audience about transgender teenagers who are bullied, beaten up or murdered or who kill themselves. Jenner mentioned two people by name whose deaths particularly touched her. "Trans people deserve something vital; they deserve your respect," she said. "From that respect comes a more compassionate community." Jenner urged the crowd to remember that what they say and do is "absorbed and observed by millions of people, especially young people." "My plea for you tonight is ... join me in making this one of your issues as well," she said. "If you want to call me names, make jokes and doubt my intentions, go ahead, because the reality is I can take it," she said. "But for thousands of kids out there coming to terms with the reality of who they are, they shouldn't have to take it." "OK, girls, I get it," she said, as the audience laughed. "You've got to get the shoes, the hair, the makeup; it was exhausting. And the fashion police, please be kind on me. I'm new at this." Jenner didn't walk the red carpet outside the Microsoft Theater in downtown Los Angeles, and she didn't appear backstage to talk with reporters, as most of the previous Ashe award recipients had done. ESPN said Jenner wanted her onstage comments to stand. Little League baseball pitcher Mo'ne Davis called Jenner brave. "She's really brave to have the courage to get through a lot of those things," said Davis, 14, who won for Best Breakthrough Performance. "I know a lot of people give her a hard time about it, but just for her family to give her that support is amazing." Former heavyweight champion Evander Holyfield said, "I just know that's Bruce Jenner, and I'll leave it at that." The Ashe award is named for the late tennis player, who died in 1993 after contracting AIDS from a blood transfusion.